A garage conversion might be the best thing you can do for your home. A garage conversion is one of the smartest ways to extend your home. If your garage is attached to your house, then it is easier to transform it into a livable space. You can extend your kitchen, build a home office, create another bedroom or a family room. If your garage is a spacious, you can turn it into a second dwelling which you can rent out to gain extra cash. Functional in so many ways, a garage conversion is not a waste of your hard earned money. But, like any other home improvement projects, it is important to plan this one properly. Proper planning is key to create an extension that functions well and blends with the original structure. It ensures that your new habitable room/s are thermally comfortable as well. Your garage is for your car. When you convert it into a livable space, you must do a lot of things to make the room more suitable for humans. If the garage is attached to the main dwelling, consider using your existing heating and cooling system. This works, especially if there’s a powerful HVAC system in your home. If that’s not possible, consider other artificial heating and cooling options. Use a room air conditioner to cool yourself in the summer. When it’s cold, plug in an electric baseboard or a gas space heater. Not a fan of electric heaters? Fire up a wood stove instead. Another option is to install a radiant floor heating system on your existing concrete slab. Of course, don’t forget to insulate your floor, walls, and ceiling before you install artificial heating and cooling here. You’ll see your electric bills skyrocket when you don’t insulate your garage properly. 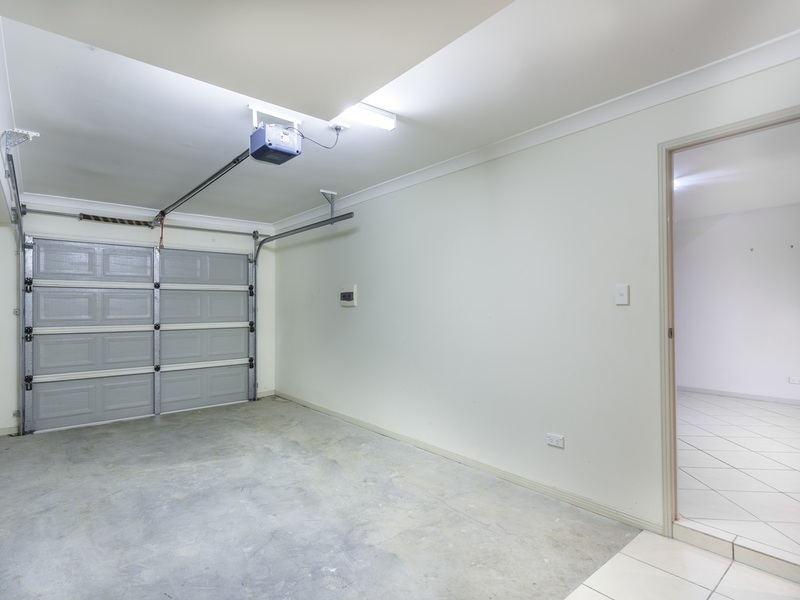 When you convert your garage into a livable space, expect an increase of electrical usage. Hire a professional and licensed electrician to organise the circuits, wiring, and outlets for you. Please don’t DIY electrical work, unless you are an electrician yourself. We all want to avoid any accident. If you’re planning to build a kitchen or a bathroom, then you need to organise the plumbing lines. You need a plumber for this job. A plumber will arrange the supply of water as well as the drainage. If you’re planning to turn it into an ordinary bedroom or a lounge area, then the space won’t need plumbing. A small garage converted into a dining room. A garage conversion is simple, but you still need a permit before you begin any building work. Your local council probably wants to know the purpose of converting your garage and how you plan to construct it. Also, the garage is not a habitable structure. 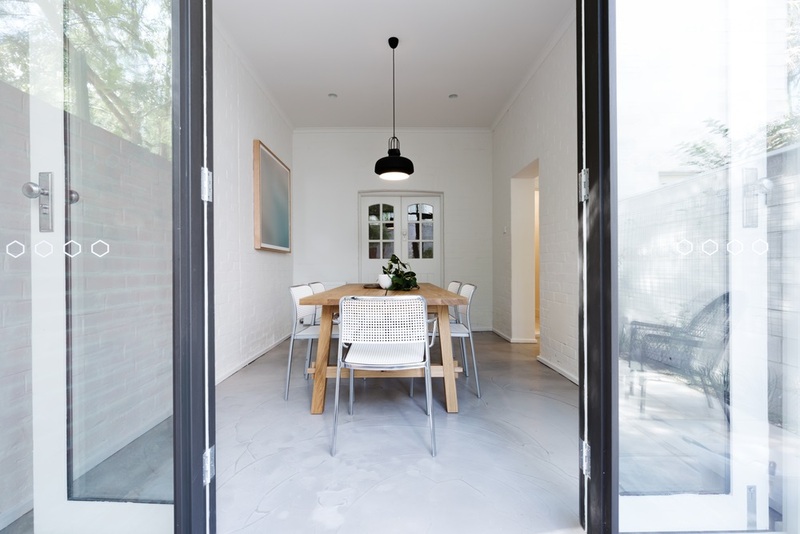 Turning it into a livable space requires you to follow the standards set by the Building Code of Australia (BCA). Garages don’t have windows. All they have is a large garage door. If you want to turn your garage into a habitable space, consider adding windows. These allow natural light in the space, making it feel like a real room rather than a converted garage. Consider replacing the garage door with a properly insulated wall with a floor-to-ceiling window or a sliding/stacking door. Use double glazed windows to improve the energy-efficiency of your home. Usually, garage walls are a single course brickwork that doesn’t meet the BCA requirements for moisture and insulation. To improve this, we recommend adding an interior insulated stud wall. If your garage is fairly huge, consider adding partitions to create more rooms. If you plan to convert your garage into a second dwelling, then you must give it a door of its own. You can put this access on the side of the garage door or on the side of the house. Place the new door in some place convenient. Once you finish all the structural work, it’s time to make the new room layout happen. Take out the floor plan and lay where the furniture and and other home items should be placed. A garage conversion is usually more affordable than a full-blown renovation or a single storey home extension. It’s also easier to do. When you keep in mind the things we listed above, your garage conversion will be successful. If you want to further simplify this project, we recommend working with a design professional who knows the building codes. Their on-point work speeds up the approval of the designs, and you can start construction immediately. Hire a draftsman from Sydney.